Wick’a Dee is NOT at Farm Tuesdays or Wednesdays. Wick’a Dee will be unavailable during WITCHES NIGHT OUT. 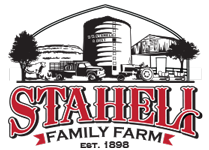 Staheli Family Farm is CLOSED on Halloween. The famous “Wick’a Dee Witch” arrives in the farmland with her little sister, the wiggly Miss Candice Cornelia for a new fall season together. Catch them doing FREE face painting, puppet shows, riding the wagons, dancing, and other witchy mayhem-making! The Spooky Trick-or-Treat Trail opens. Wick’a Dee and her witch sisters will be there with extra-special treats for the first night of Trick-or-Treating at the Witch Hut. ALSO, Special FREE Witches Showcase! Saturday, October 5, 12, 19 @ 4:00 pm in the Pavilion. WE ARE IN THE MOUNTAIN TIME ZONE. IF YOU ARE COMING FROM OUT OF STATE, PLEASE PLAN ACCORDINGLY. IF BAD WEATHER ARISES PLEASE CHECK OUR FACEBOOK PAGE FOR UPDATES OR CALL AHEAD. ALL TIMES SUBJECT TO CHANGE. Wick’a Dee wishes you all a safe and insane Halloween this year! Wick'a Dee casts her spell on a little boy!